Micro Crystal AG, a company of the Swatch Group Inc. Switzerland, was founded in 1978 in Grenchen, Switzerland, as a producer of Tuning Fork Crystals for watches. 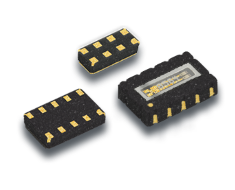 Today, Micro Crystal AG is a leading manufacturer of Miniature Quartz Crystals (30 kHz to 250 MHz), Real Time Clocks, Oscillators and OCXOs for the world’s leading manufacturers of IoT, wearable, automotive, industrial and medical applications. 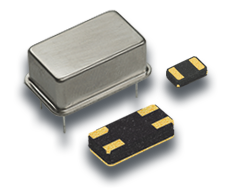 Real Time Clock (RTC) Modules a smart combination of the 32.768kHz Tuning Fork Crystal Resonator with the CMOS Based Oscillator & RTC IC inside a Miniature SMD Ceramic Package. 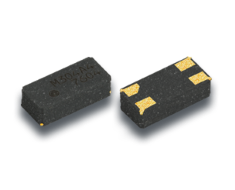 This Oscillator combines the 32.768 kHz or the 100 kHz Tuning Fork Crystal Resonator with the CMOS Based Oscillator Circuitry inside a Miniature SMD Ceramic Package. 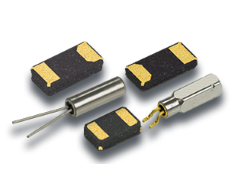 Low Frequency Tuning Fork Crystals need to operate under vacuum, therefore require hermetically sealed packages. All products are RoHS-compliant and 100% lead free.